1) The cover, my god, the cover. HER DRESS IS MADE OF WATER. 2) I always have high hopes for retellings of legends or fairy tales. 3) I'm intrigued to read more of Lauren Kate's works. What do you guys think? 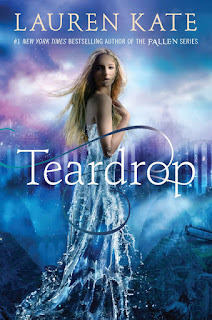 Are you excited for Teardrop?